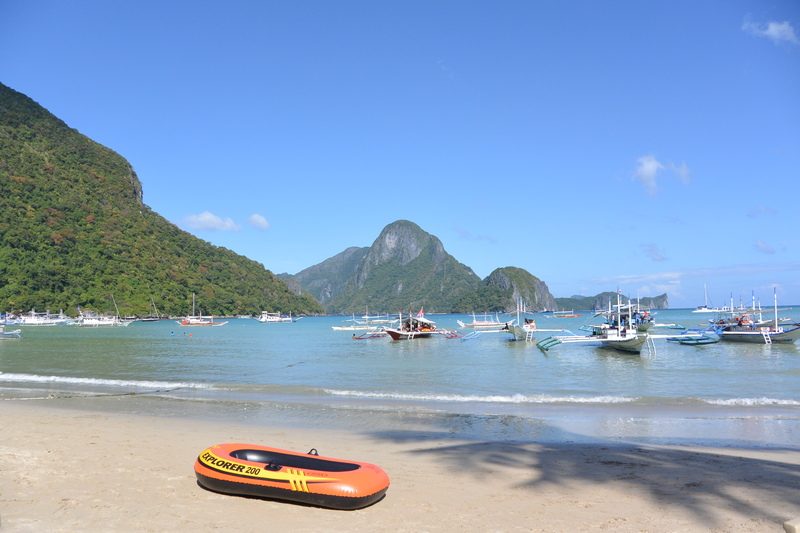 el nido, palawan | loveliness. After a few days in Manila, we took a one hour flight across to the island of Palawan. It was a night flight, and we arrived in Puerto Princessa around 9pm. We’d been told repeatedly not to take a night bus in the Philippines, because the roads are bad, and we were even told that people had been robbed on them before, but we only had a few days left in the Philippines, and if we wanted to go diving in Coron (which we did) we had to take night buses so we didn’t spend our days traveling, so we decided to go for it. At the Puerto Princessa airport, we hopped in a “tricycle”, the Philippine equivalent of a Tuk Tuk, and got a ride to the bus station. There was a full sized bus leaving for El Nido an hour later, so we grabbed some snacks and settled in to wait. They also have 12 passenger vans running, but we figured a big bus was probably safer, even though it was a longer ride. It was a 6 hour bus ride, but we slept the entire time, even though they were showing Jurassic Park on VHS at the front of the bus, so I desperately wanted to stay awake. We arrived in El Nido around 3 in the morning, and luckily there was a tricycle waiting at the bus stop. We had a room booked at a hostel in town, but we had no idea where it was, and neither did our driver, so we had to creep around the dark streets until we found somewhere with wi-fi so we could look it up. We eventually got checked in, and finally got to bed around 4am. The next morning was a bit of a struggle, because we were up bright and early to do an island tour around El Nido before we left for Coron the next day. 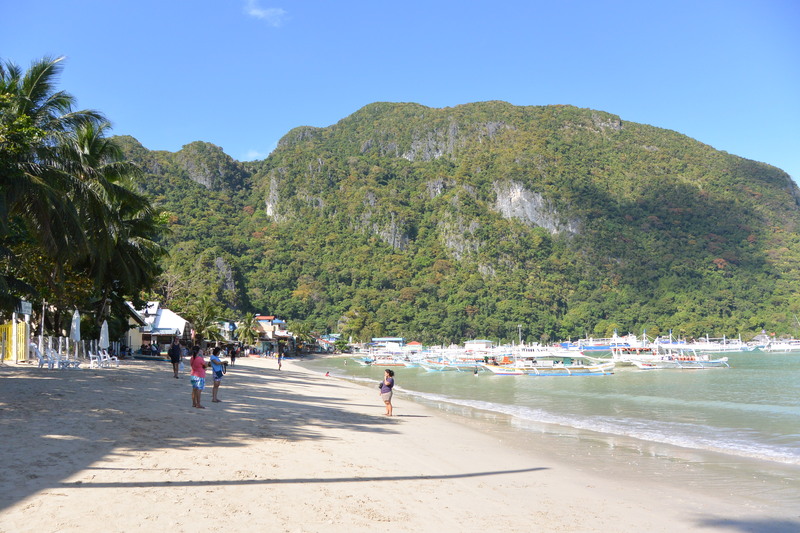 We only spent two nights in El Nido, but it was seriously one of the most beautiful places I’ve ever seen. We walked down the street to get to the ocean to leave for our tour that morning, and as we rounded the corner and saw the beach, I actually gasped. It is literally breathtaking. Even though El Nido was a bit of a trek to get to, it was so, so worth the trip. And even though we were warned over and over again not to take night buses, we had a great experience, and the extra time we gained allowed us to see as much of the Philippines as we possibly could. ← may I quote you on that? 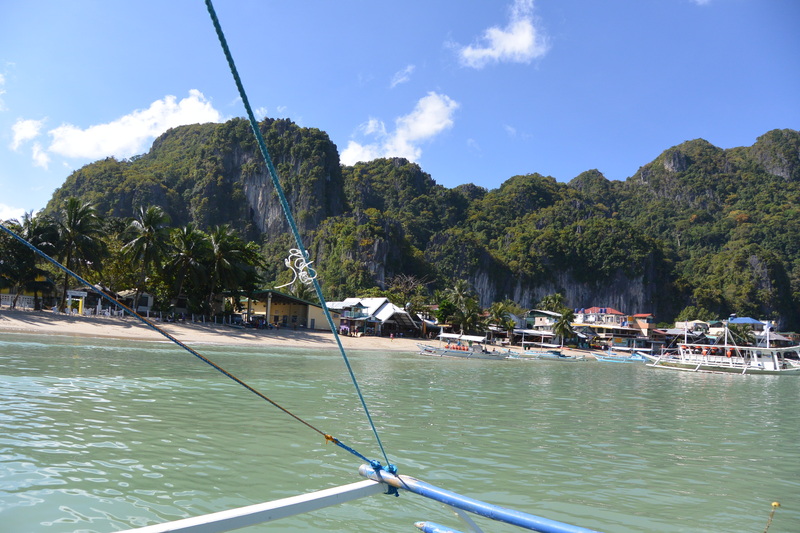 Pingback: island hopping in el nido: part 1 | loveliness. 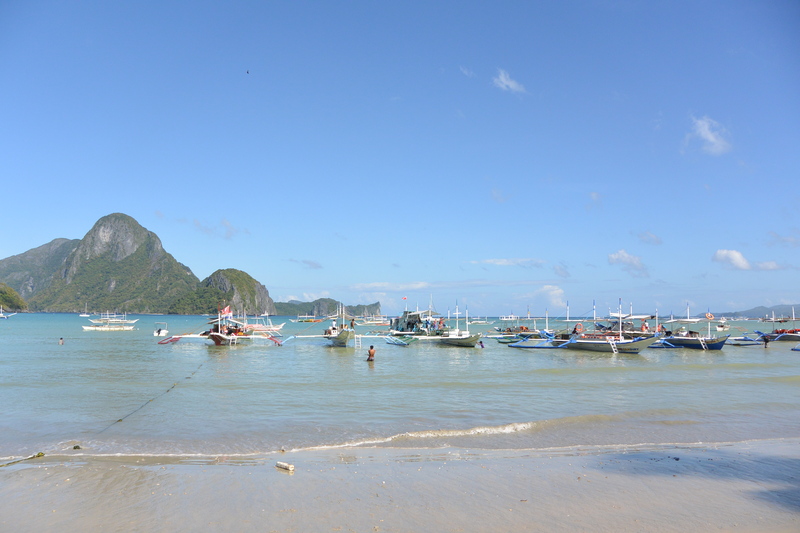 Pingback: tips for traveling in the philippines | loveliness.